Foshan Luonan Aluminium Co., Ltd., originally Luonan Aluminiu Plant, is a large-scale comprehensive aluminium alloy profile manufacturer specialzed in production, distribution, development and design. Since establishment in 1985, the company always keeps moving on through twenty years of continuous innovation and accumulation. So far, the company has 3 14T hot-top horizontal casting furnace, 11 advanced aluminium extrusion line ranging from 600T to 1800T, 1 Jinma line from Switzerland, 1 colored powder spraying line from USA, 1 strip heat-insulation line, 1 aluminium alloy grid line and 1 advanced mould line. 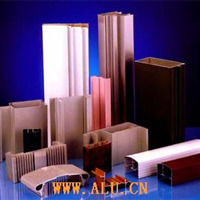 With almost 10,000 square meter workshop and office building, the company is the well-known aluminium supplier with annual production of 30,000T.